PSA CEO Varin is investing an unprecedented amount of cash and resources in growth markets such as Russia, Brazil and China. 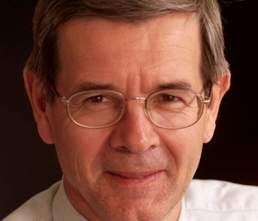 PSA/Peugeot-Citroen SA has undergone a massive transformation in the year since Philippe Varin took over as CEO of Europe's second-largest automaker. Last week's management shake-up – highlighted by the creation of a board-level post for PSA's new Asia boss – was just the latest in a number of big moves aimed at making the once Europe-focused automaker a more powerful global competitor to better challenges giants such as Toyota Motor Corp., General Motors Co. and Volkswagen AG. “It's critical that we lift our brand awareness and global image to the same level as our top competitors if we want to play in the same league,” Varin, 57, said in PSA's annual report released last month. PSA is investing an unprecedented amount of cash and resources in Russia, Latin America (Brazil) and China. • Russia gets 470 million euros to open a car assembly plant in Kaluga that PSA and Mitsubishi Motors Co. want to produce 125,000 compact cars and SUVs a year by 2012. • Brazil gets 580 million euros to double its production capacity to 320,000 units by 2012. • Latin America (which includes Brazil) gets a new boss, Carlos Gomes, who PSA lured away from Fiat Group Automobiles S.p.A. to help the it catch up with leaders VW, Fiat and Renault SA. • China will get an estimated hundreds of million of euros if PSA follows through with plans to 1) open a third plant in there with longtime joint venture partner Dongfeng Motor Group Co. and 2) establish a new joint venture with Changan Automotive Group. • China, Shanghai to be exact, also will be home base for Gregoire Olivier, who last week became PSA's first management board member with responsibility for Asia. Olivier's focus will be China but he also will oversee PSA's operations in Japan and India. 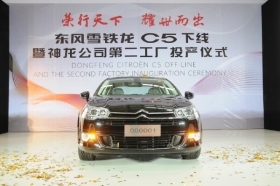 The Citroen C5 is one of the models PSA builds in China with local partner Dongfeng. Said Philippe Houchois, head of European auto research at UBS in London: “PSA was among the front runners in China and Brazil, but after promising starts, it lacked consistency." He says that basing a top executive in Shanghai shows that PSA is truly commitment to getting stronger in China. All the manpower and money is going to the growth markets to help meet Varin's lofty goals. 1. He wants the three regions to deliver almost 500 million euros in additional operating profit between now and 2012. 2. He wants PSA to have a 10 percent share of Russia's new-car sales by 2012; last year, PSA sold 42,136 cars in Russia, equivalent to a 2.9 percent market share. 3. He wants PSA to have 10 percent share of Brazil's new-car sales by 2012; last year, PSA sold 147,690 cars in Brazil, equivalent to a 5.8 percent market share. 4. He wants PSA to have 8 percent to 10 percent share of China's new-car sales by 2020; last year PSA increased its sales in China 52 percent to 272,000 units, representing a 3.3 percent share, the company said. This year PSA wants to sell 400,000 cars in China. PSA reported an operating loss of 394 million euros in 2008 and 1.42 billon euros last year. “Varin entered the auto business in one of the worst periods for this sector,” USB analyst Houchois said. Despite the challenges ahead, Houchois says Varin's plan to return PSA to profitability makes sense. He also likes that Varin seems to be doing something that his predecessors didn't do. “At least for the past decade, PSA's CEOs were actually no more than general managers, as they had to apply a strategic vision coming from the Peugeot family,” he said. The Peugeot family, which controls 30 percent of PSA's shares and 45 percent of its voting rights, worked hard to get Varin to join the automaker from the Corus steel group. Houchois believes that because of the long courtship Varin has been given more power to decide and implement his own strategic vision.